The story of “Found in Kitsap” begins on a beautiful summer day in the Pacific Northwest. I had just taken the ferry from Seattle back home to Bremerton (a small town in Kitsap County), and was waiting for my parents to pick me up. Perfectly content, I wandered around enjoying the cool, salty breeze coming off the water. 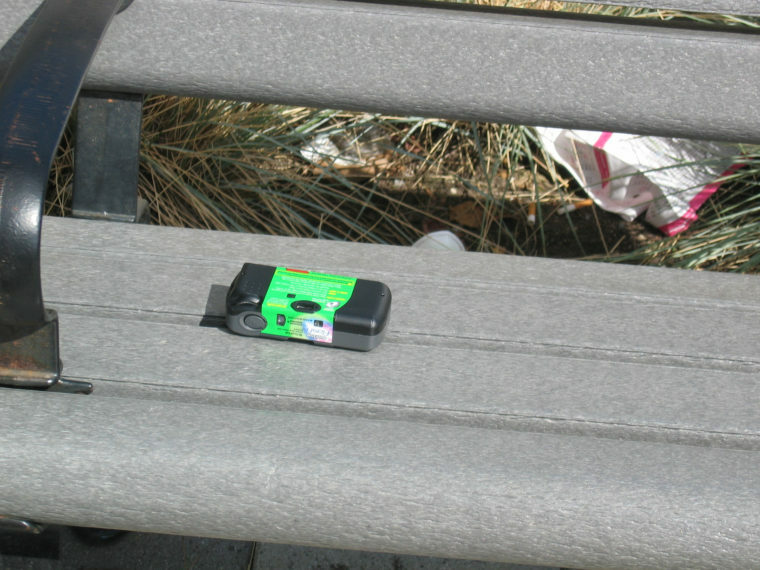 Suddenly, something caught my eye – it was a disposable camera sitting on a park bench. I looked around to see if its owner was nearby, but saw no one. Before I could search any further, my parentsʼ car rounded the corner at the end of the block. Now I was faced with a choice… and what can I say? My curiosity got the best of me – I took the camera. When that vacation ended, the disposable camera travelled back with me to Los Angeles. The very idea of a “found camera” was fascinating. It raised so many questions: What pictures were on it? Did it contain innocent snapshots or unseemly horrors? The mystery intrigued and frightened me. but the questions did not stop there, I wondered what were the stories behind the pictures? and why had it been left on that bench? For the next several years, the camera sat on a shelf, undeveloped and waiting, its secrets and stories undiscovered. That is, until one day while thrift store shopping, I found a camera that had been donated with film still inside… read part two, “The Hunt Begins” now!